More than one in seven (15%) said in a survey they would not disclose a long-term health condition such as arthritis or recurrent joint pain to their employer. 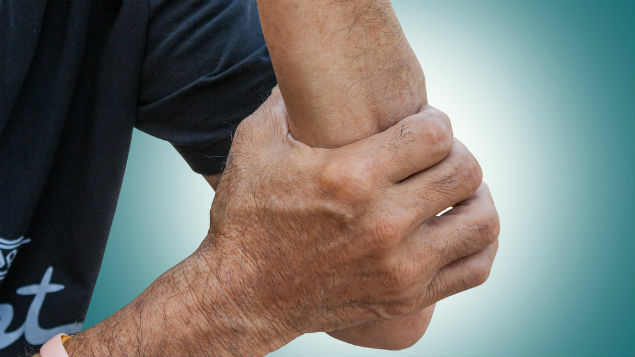 A study by the charity Arthritis Research UK has called on the Government to better support people with long-term conditions in the workplace. The research was launched in December to coincide with a new campaign, “Work Matters to Me”, urging the Government to better support people living with long-term conditions such as arthritis, so that they can find and remain in suitable work. Other findings from the survey included that just over one-third (33%) of people with a long-term condition felt their colleagues did not understand its impact. And more than one in seven (15%) said they would not disclose a long-term health condition such as arthritis or recurrent joint pain to their employer. 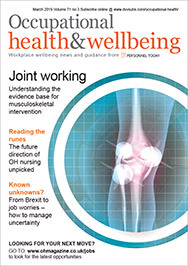 One-fifth (20%) of UK workers of all ages are worried they will not be fit enough to continue working this year, yet more than one-third (39%) don’t feel confident discussing their health with their employer, the study argued. It also found that more than one-third (36%) of people with arthritis would not disclose a mental health condition, such as depression, to their employer. The research came as, separately, Professor Dame Sally Davies, the Chief Medical Officer for England, published her “annual report” on the state of the public’s health, which focused on the “baby boomer” generation – those aged 50-70. The report, Baby Boomers: Fit for the Future, concluded there was good and bad health news for this generation. The bad news was that two-thirds had not done 30-minutes of moderate physical exercise in the past month, and 42% of employed 50- to 64-year-olds were living with one health condition or disability. Years lived in ill health as a result of type 2 diabetes were up by 97% in men and 57% in women since 1990, and 18% of baby boomers had depression or an anxiety disorder. But the good news was that life expectancy was up, by nearly five years for men and three years for women, compared with those aged 50-70 in 1990. Premature heart disease deaths were down by 75% in men and 80% in women in the same period, and early deaths from cancer were down by 33% since 1990. Men and women were smoking less and drinking less alcohol than 20 years ago, it added. Professor Dame Sally also argued it made sense for people aged between 50 and 70 to keep working to stay healthy. The physical and mental health benefits of being employed or volunteering “should not be underestimated”, she said. Also in December, a report from Public Health England (PHE) argued eight out of 10 of middle-aged people either weigh too much, drink too much or don’t exercise enough. The report, as part of PHE’s “One You” campaign, argued 77% of men and 63% of women in middle age were now overweight or obese. Obesity in adults had shot up 16% in the past 20 years, and the diabetes rate among this age group also doubled in this period in England.